With the dawn of the Neolithic age, farming became established across Europe and people turned their back on aquatic resources, a food source more typical of the earlier Mesolithic period, instead preferring to eat meat and dairy products from domesticated animals. 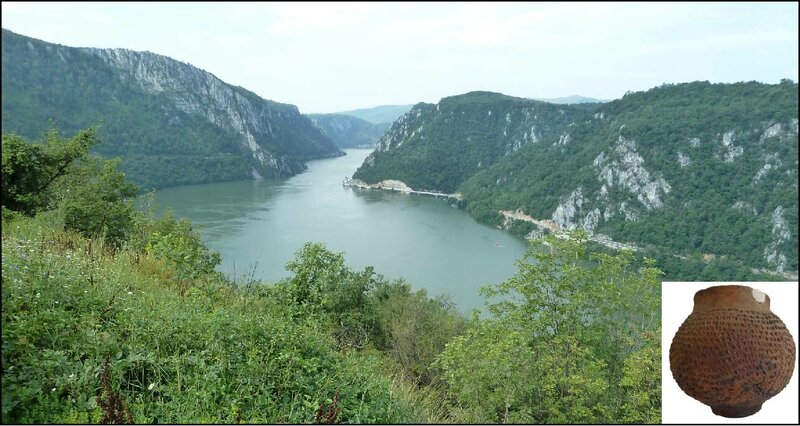 The research, published today in the journal Royal Society Proceedings B, reveals that people living in the Iron Gates region of the Danube continued regular fish-processing, whereas pottery extracts previously examined from hundreds of sherds elsewhere in Europe show that meat and dairy was the main food source in pots. This region is archaeologically very important because the sites document Late Mesolithic forager settlements and the first appearance of Neolithic culture, which is spreading up through Europe illustrated by the first appearances of pottery, domesticated plants and animals and different burial styles. The Iron Gates is a unique landscape on the border between modern-day Romania and Serbia where the Danube cuts through the junction of the Balkan and Carpathian mountain chains. It provided a rich wild aquatic resource base for prehistoric hunter-fisher-foragers during the Late Glacial and early Holocene. As farming spread from south west Asia into Europe, prehistoric diets ultimately transformed towards a diet based upon domesticated plants and animals. However, in this region, evidence has suggested that wild resources may have continued to be important well into the early Neolithic.